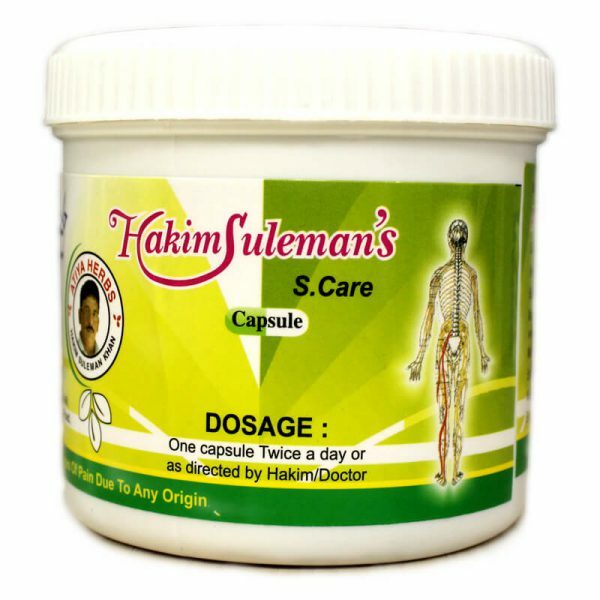 S-Care medicine by “Atiya Herbs” is well tested and researched, giving complete satisfaction to the patients with muscle and joint diseases such as arthritis or sciatica. Not only that, this medicine has an extensive effect on other diseases like ulcer and acne. But, it is mainly effective on curing problems related to muscles and bones. It treats muscle stiffness and gives relief from pain. Haritaki (harad) regulates level of blood pressure. It acts as an immunity booster and gives relief from pain and stiffness in muscles. Suranjan Sheerin: Its pain mitigating properties render relief in Sciatica and many other ailments associated with joint pain or nerve related pain. Consume with lukewarm water as directed by doctors.